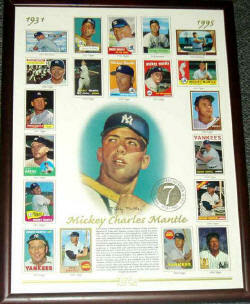 SIZE - 19 3/4" x 25 3/4"
This is a Mickey Mantle Topps Commemorative Card Sheet. 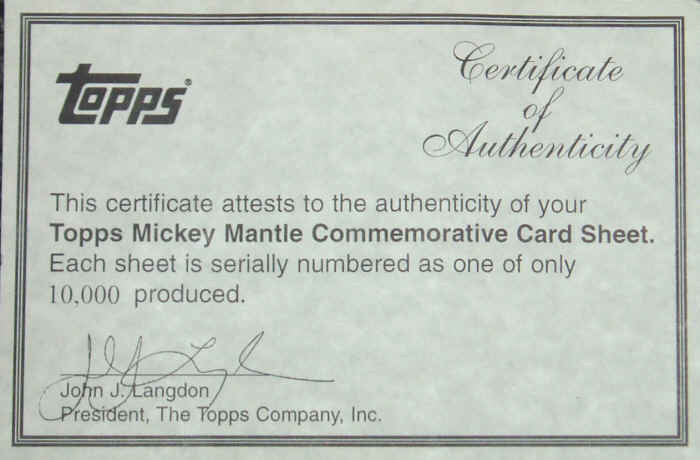 Issued in 1996, it comes with a Certificate of Authenticity from Topps. The back of the Sheet shows the Back of the Cards shown in front. 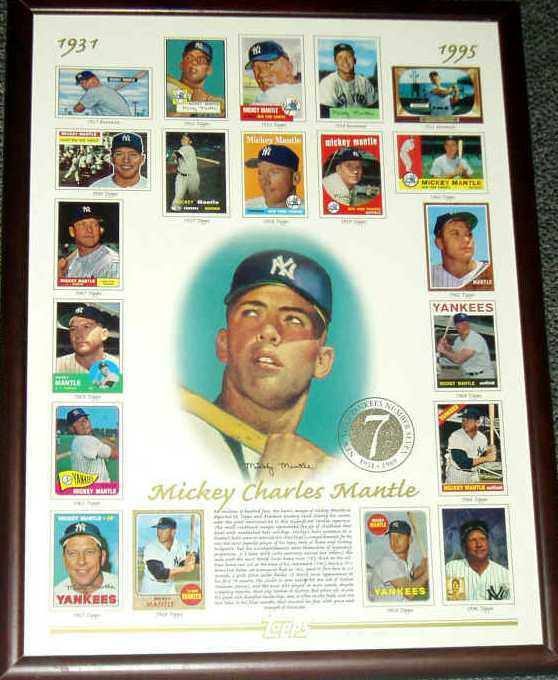 It comes Framed and limited to just 10,000 made, they are numbered at the bottom. We only have a LIMITED amount of these in inventory.